West Timor, for the textile enthusiast, is still an untapped gem. 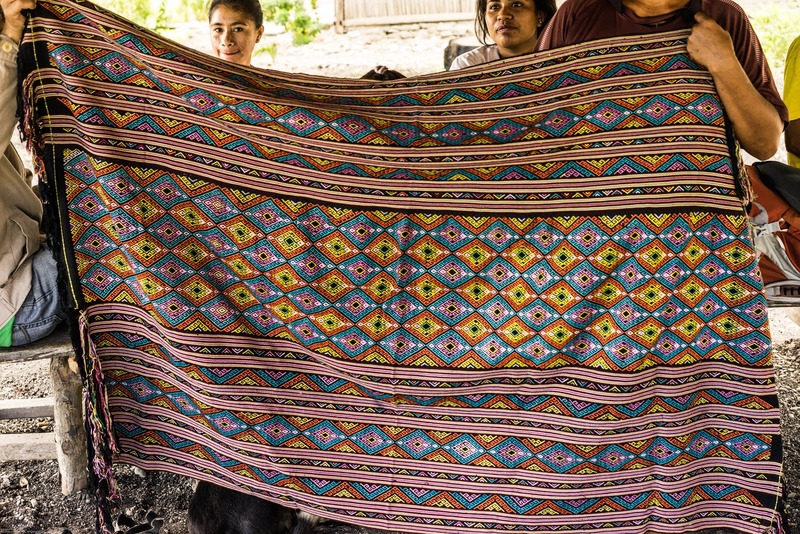 In every village there will be women on hand looms, creating beautiful works of art. But to really experience it properly, you need a guide. After staying the night in Kupang I took a bus the next morning to Kefamanau, popularly known as Kefa. 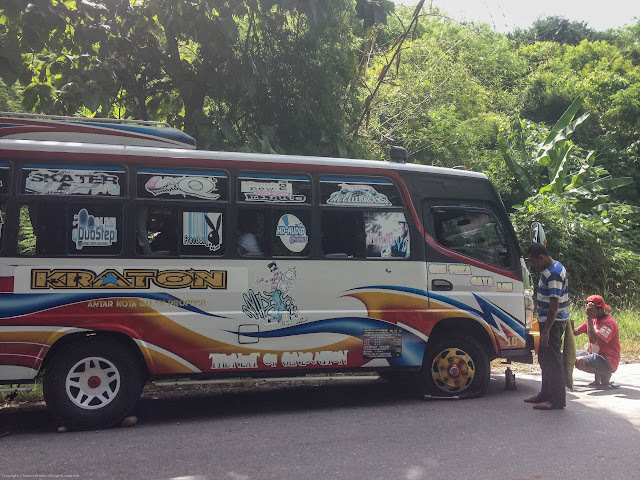 This is about 3/4 of the way to the East Timor border, is up in the hills a bit, so has a slightly more pleasant climate than the sultry humidity of Kupang. Over the following few days I visited some traditional villages and then met a local guide, named Aka, who with over 25 years of experience as a guide, offered to customise a tour for me. We would travel by motorbike to visit many weaving villages, markets and textile dealers, plus visit a traditional village or two. After attempting to travel independently, I had quickly realised that a guide who spoke the languages and understood the complex cultures, would be worth the investment. And thus begun my incredible adventure into the world of weaving. There are two main cultural groups in West Timor. The Belu live in East Timor and the eastern portion of West Timor, and have their own language and traditional architecture. 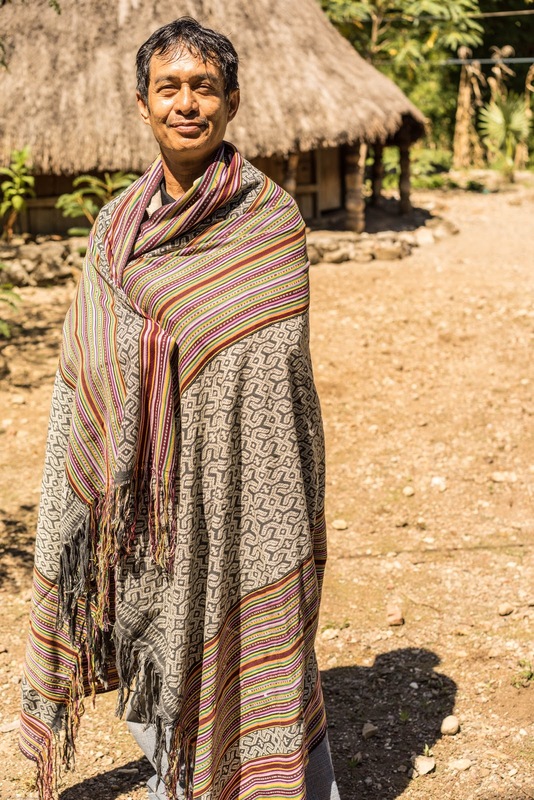 The Dawan live in the central and western end of Timor, and also have their own language and distinctive beehive huts. 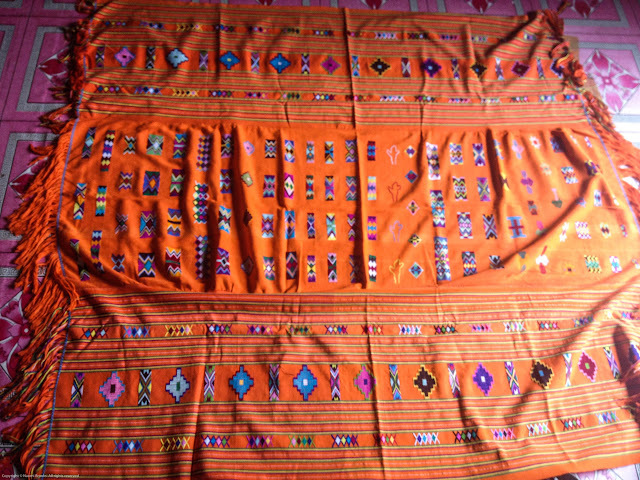 They all weave, and they all have their own traditional designs and motifs. 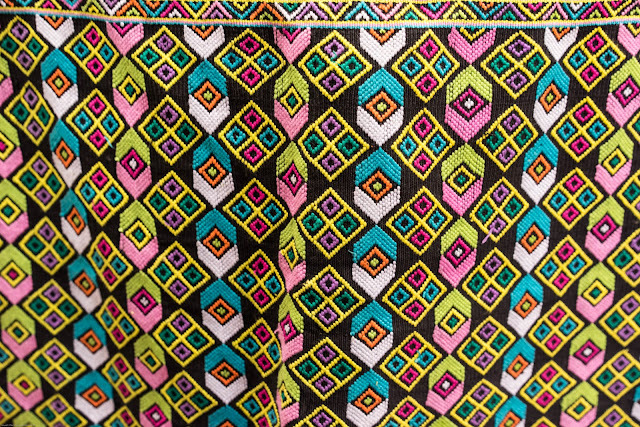 In fact, within a small village there may be different tribes living, and each will weave the motif of their tribe. It's like having an individual signature: look at the motif on their sarong and you know exactly what tribe and where they come from. 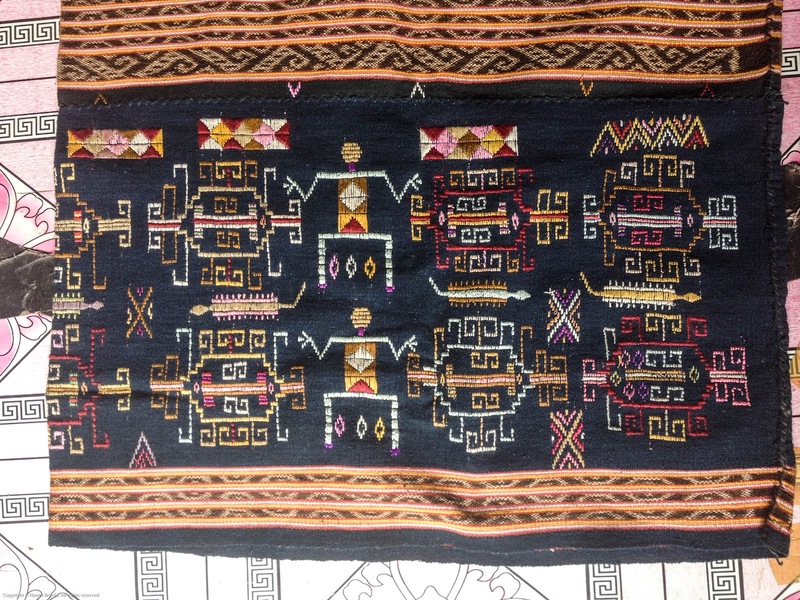 I discovered there are essentially 3 types of weaving done in the region. 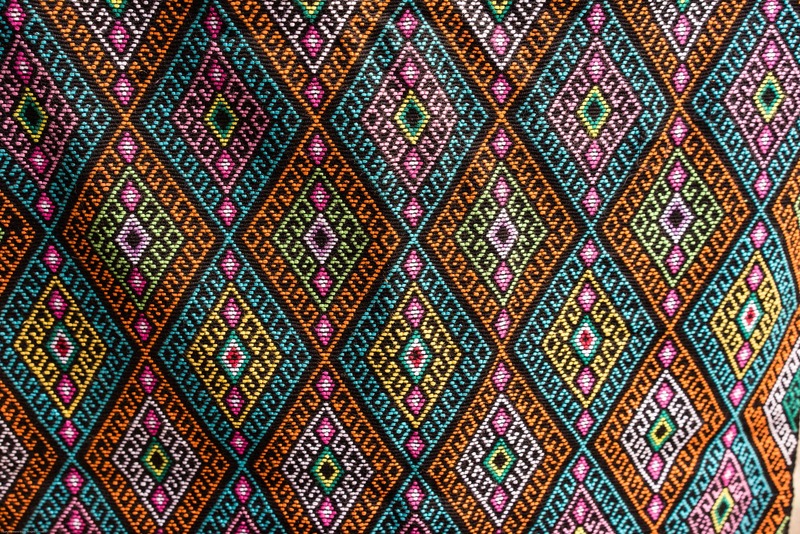 First there is Putus, which means tie dying, and is the process where the thread is tied in the pattern required and then dyed a number of different colours, and then woven. This is the process I had also seen around Maumere and Alor. But in different villages, different motifs. Here's a slide show and video for you. Then there is Buna. This is where the loom is thread first and then the pattern is twisted on to the warp. 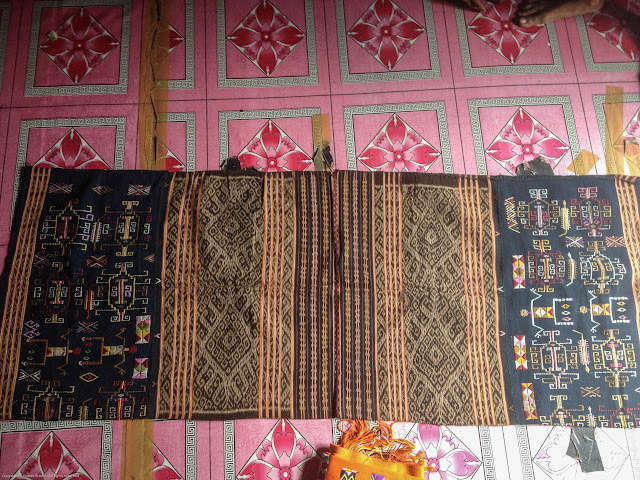 The warp is the lengthwise cotton, the weft the crosswise cotton. 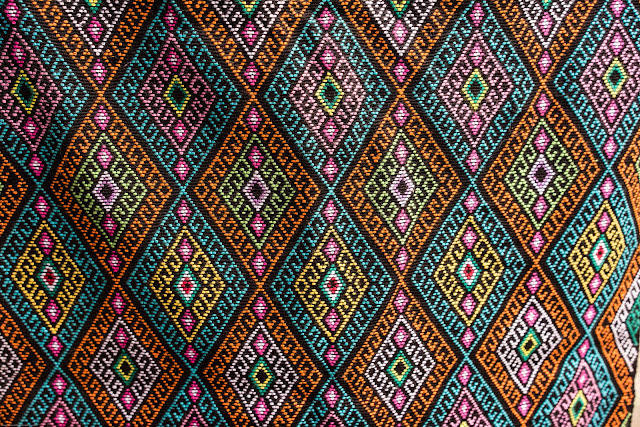 After one row of the pattern is twisted on, using many different colours, it's kept in place by a cross weft of plain cotton, the same colour as the warp. Once the weaving is finished, the ends are all cut off to create the finished piece. It can take an entire year just to make one piece, not that the ladies actually weave all day every day, they have other work to do as well. Here's a video of the process and a couple of examples of the product. There is also Sotis, which is the quickest form of weaving, usually done with purchased pre-dyed cotton. 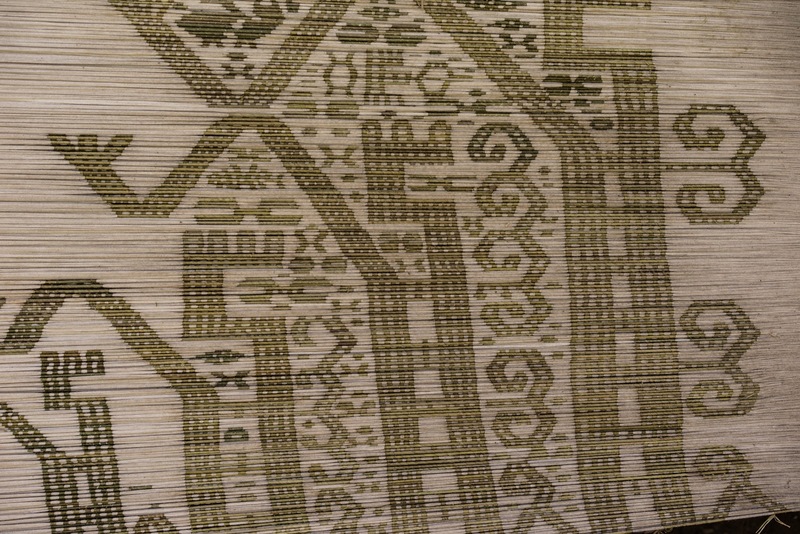 The warp is threaded with various colours depending on the design and then the pattern is woven in as it goes. One of these may only take a week to finish. 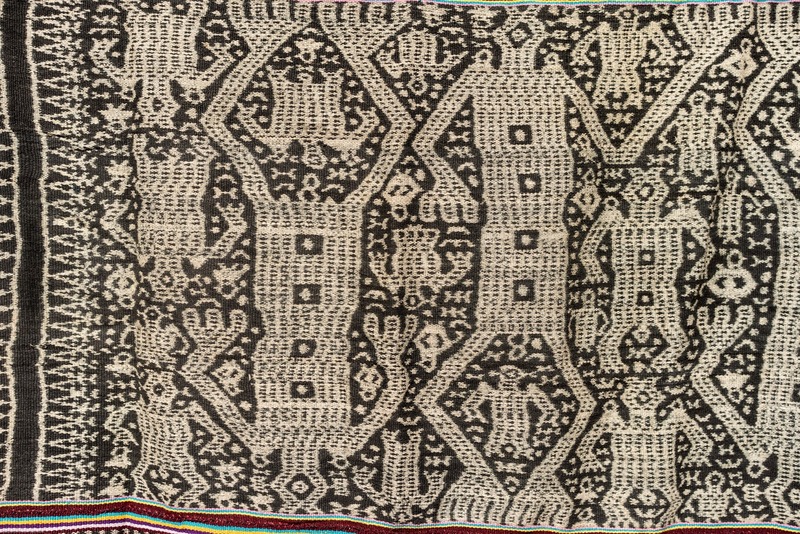 Some weavings have a combination of techniques, and may also include some embroidery. Some use all homespun cotton and natural dyes, others are all factory cotton, others a combination of both. And if you visit a textile dealer, of which there are a few, you can even see really old weavings, some using cotton imported from Holland over a hundred years ago. The latter are called Letras, and are extremely valuable, asking prices from $3000 upwards. I can't really describe the sheer variety out there, so I'll let the pictures speak for themselves. 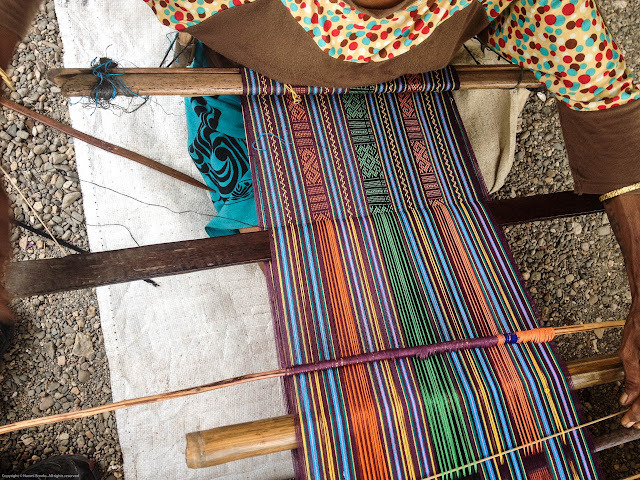 If you have an interest in textiles and would love to experience seeing these works of art and culture made, I'm thinking of organising a tour, travelling in a little more comfort than the way I did it, but no less authentic an experience. Send me a message if you'd like to come, and we can talk. But next, a story about some of the villages themselves….